Embarking on a major project requires a number of elements to come together for a successful outcome. 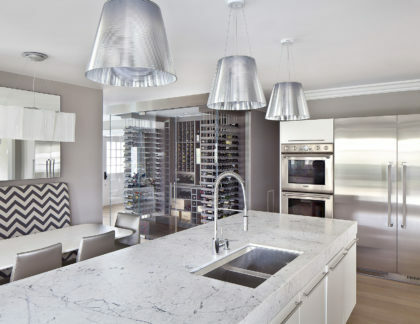 Among them is a well-considered program of requirements by the client outlining the intended scope of work. 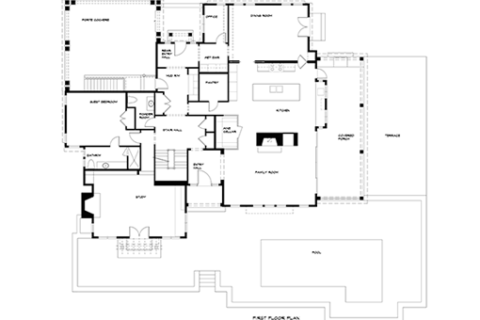 A couple embarking on a significant alteration project to their Greenwich, Connecticut home prepared just such a program. 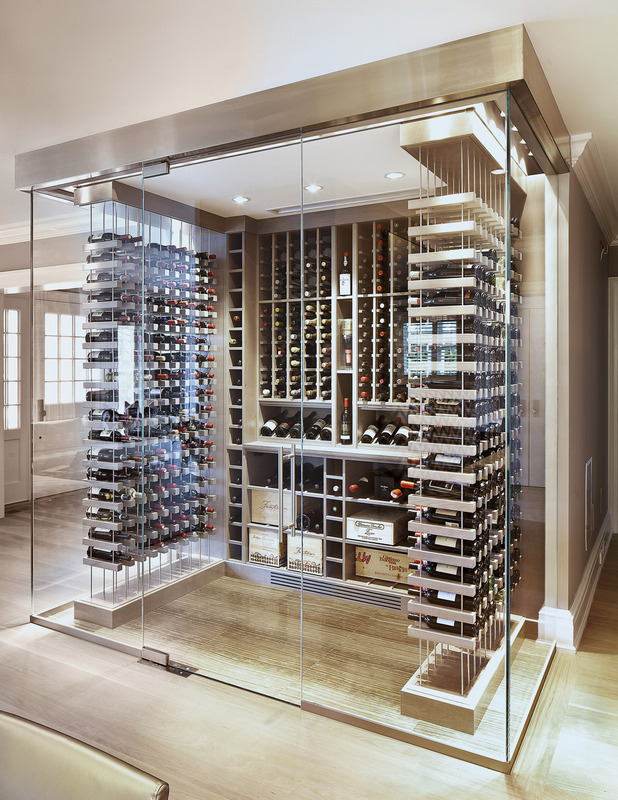 Being wine enthusiasts, a new wine cellar held particular importance in the client’s brief. 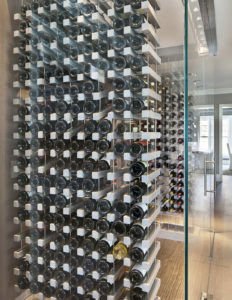 Soper Babcock Associates prepared preliminary plans which included a 2,000 bottle wine cellar on the finished basement level and a 500 bottle cellar directly above on the first floor. 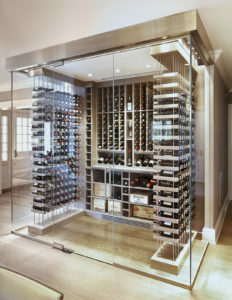 The first-floor wine cellar is a glass cube that straddles the open floor plan of the kitchen and family room. 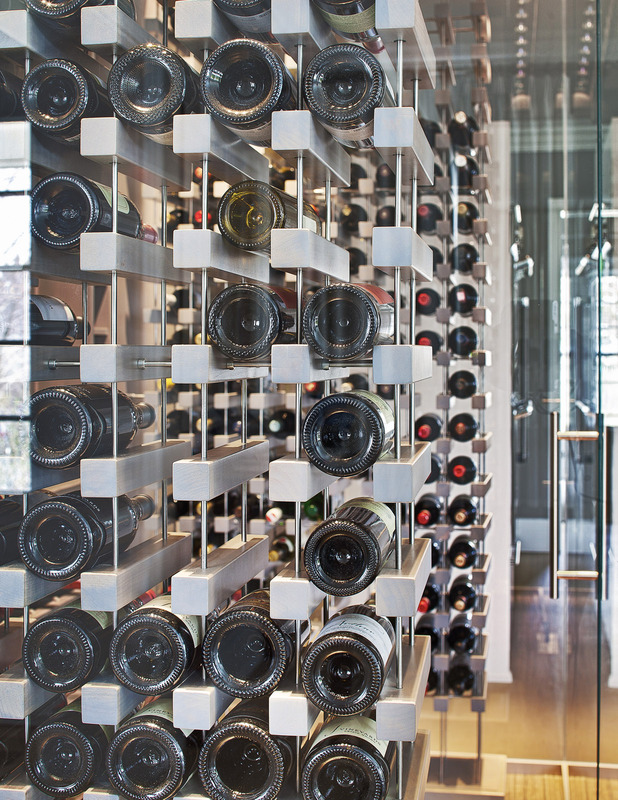 It was conceived as a both a functional space for their extensive wine collection as well as a stunning art piece, intended to be lived with and enjoyed by all. 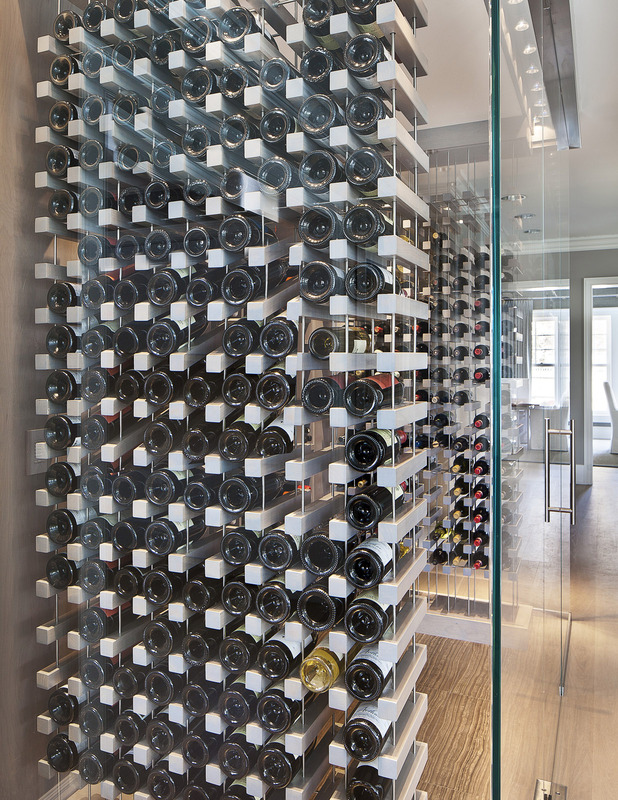 The U-shaped layout uses minimalist racking parallel to the glass side walls fabricated from steel rods and custom stained alder wood blocks. This particular racking treatment has a sculptural feel and lightness to it allowing each bottle to be appreciated three-dimensionally. 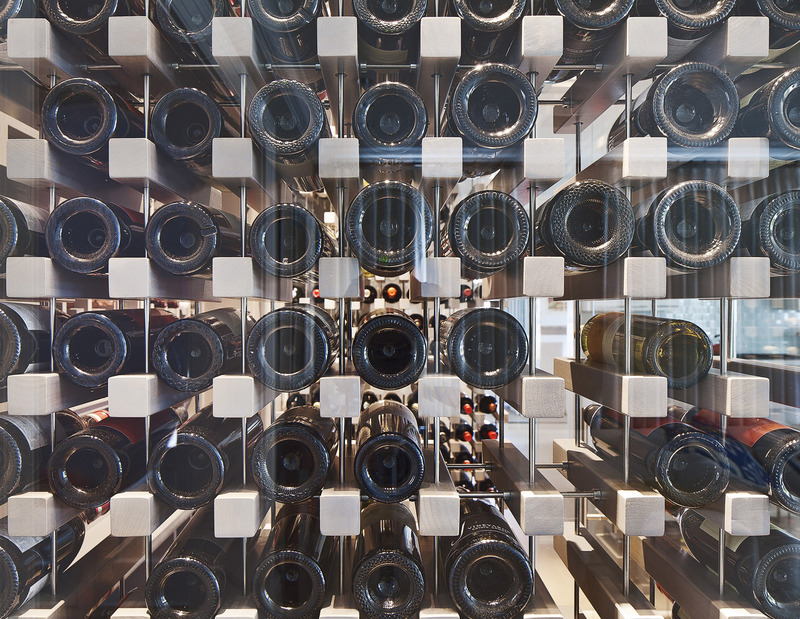 The rear wall is divided between large format storage, case storage, and individual bottle display/storage. The glass walls are frameless floor to ceiling single thickness glass with stainless steel lining the top edge. 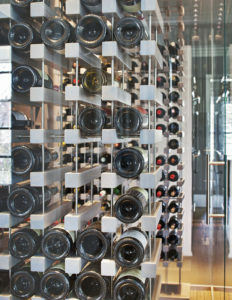 The floor finish is grey travertine with framing in place for a structural glass panel to view the future 2,000 bottle wine cellar directly below.